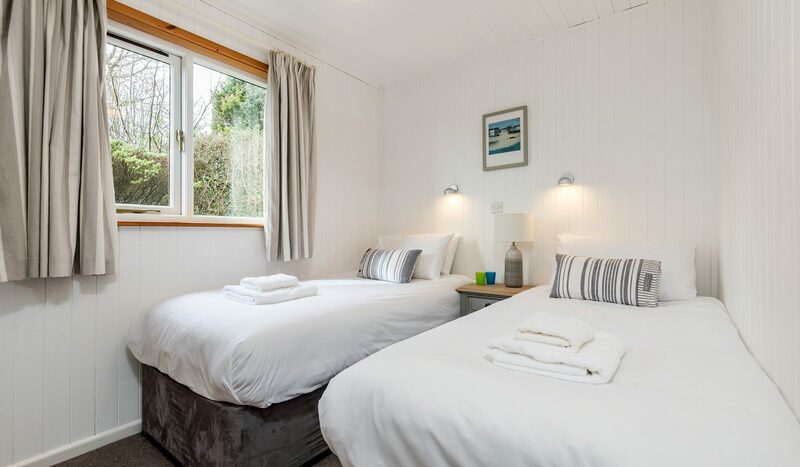 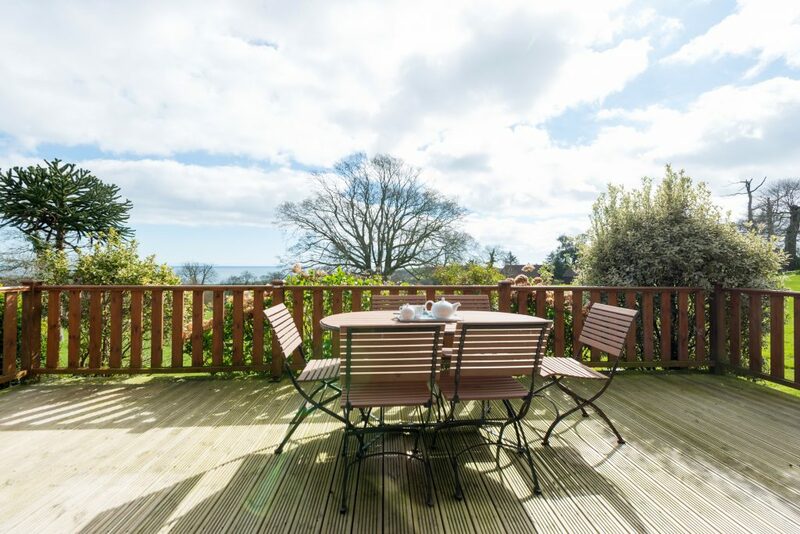 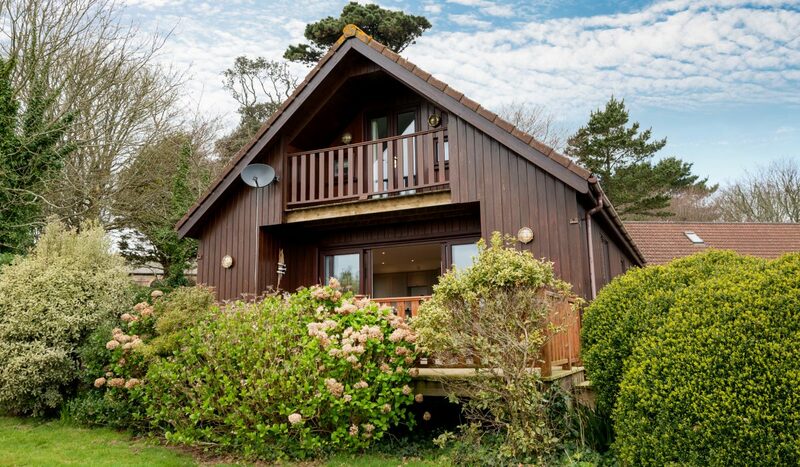 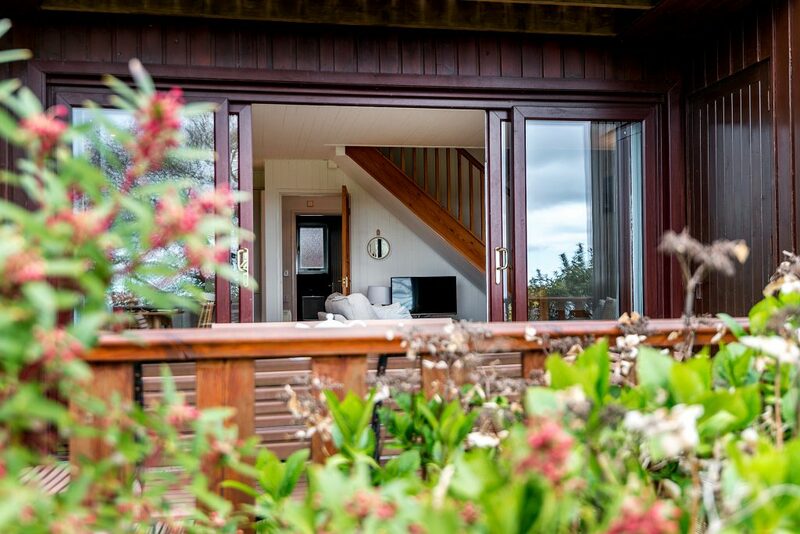 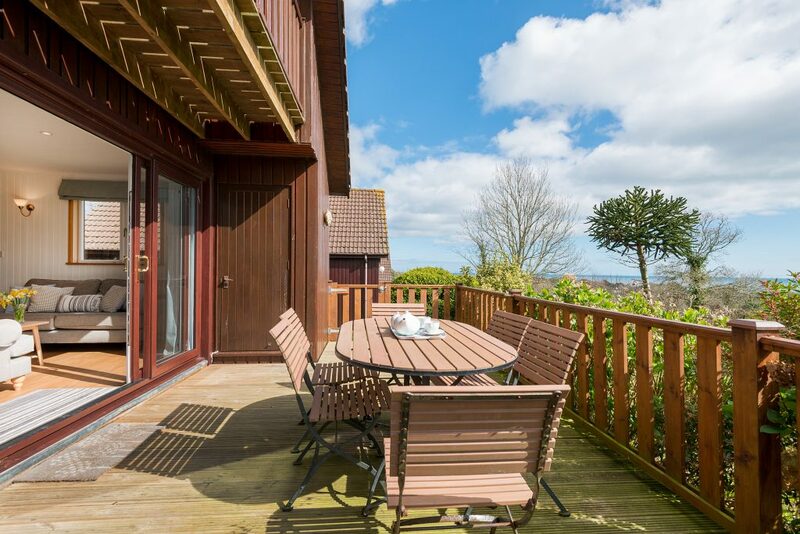 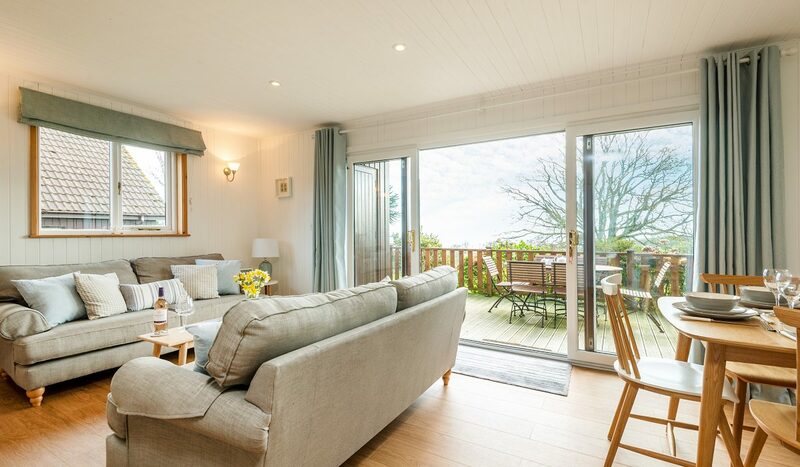 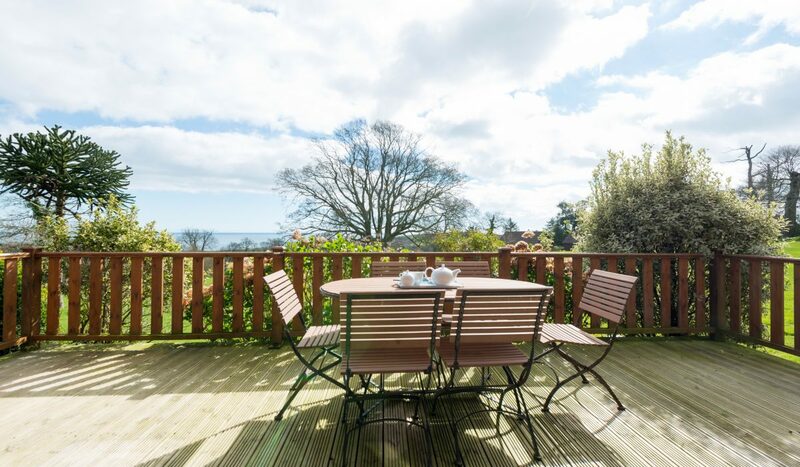 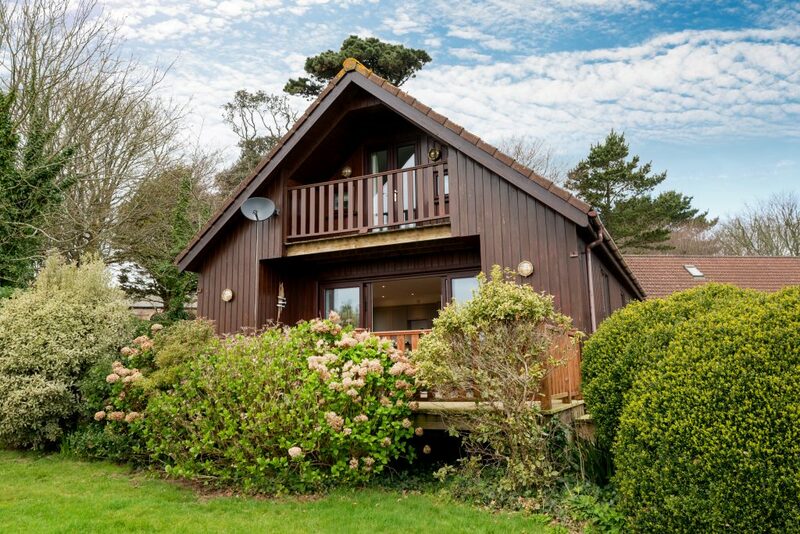 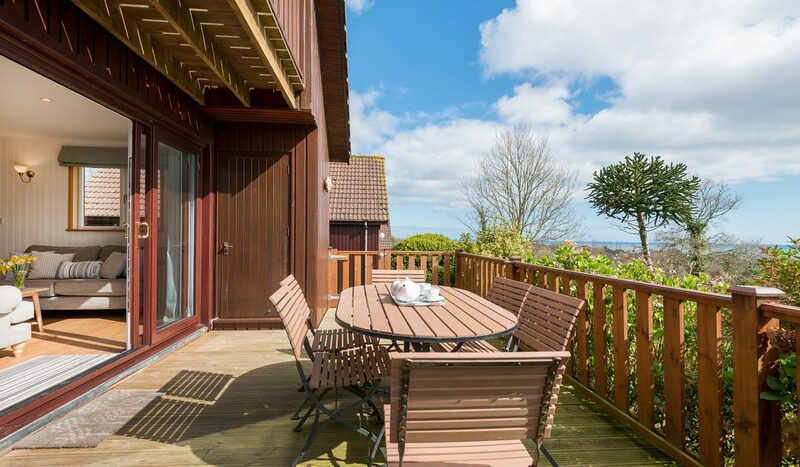 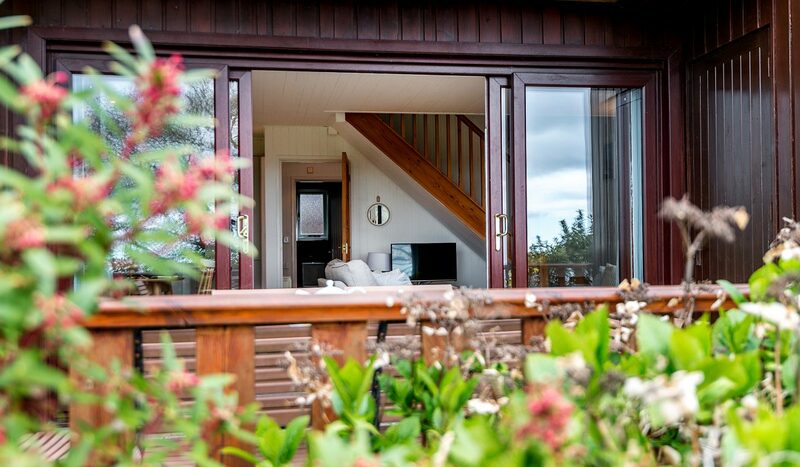 Walnut Tree lodge is a beautifully designed, stylish lodge with spectacular sweeping sea views. 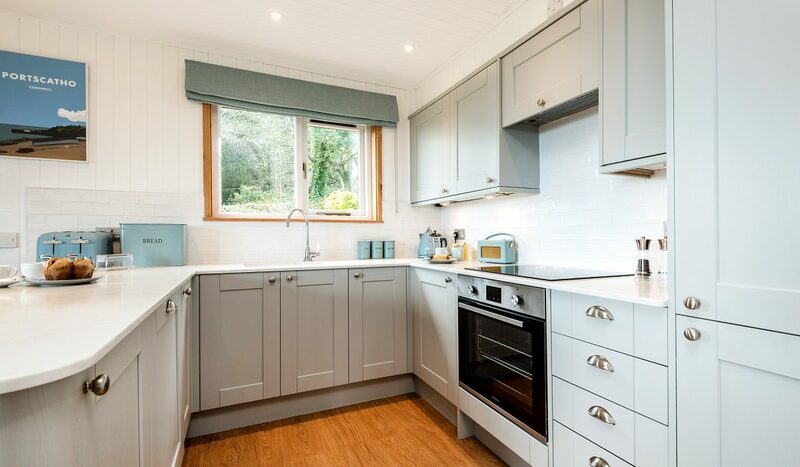 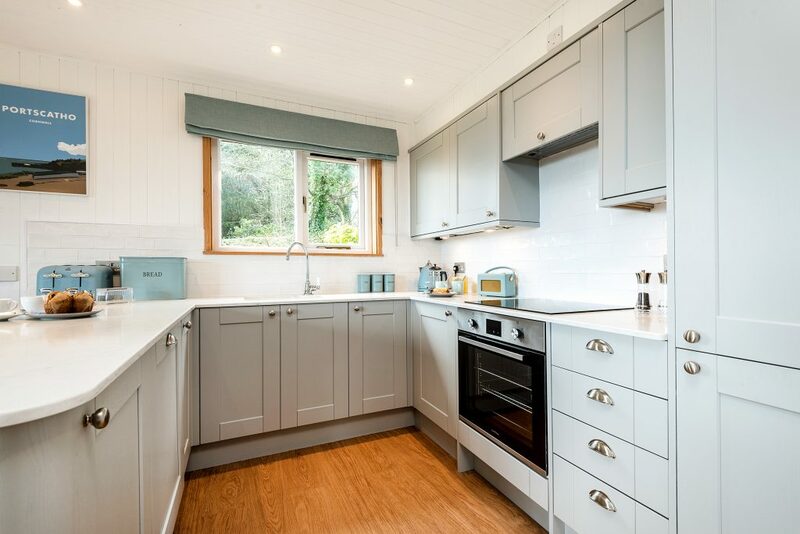 It has just been completely renovated and features a gorgeous pale grey wooden kitchen with a stunning marble worktop and breakfast bar. 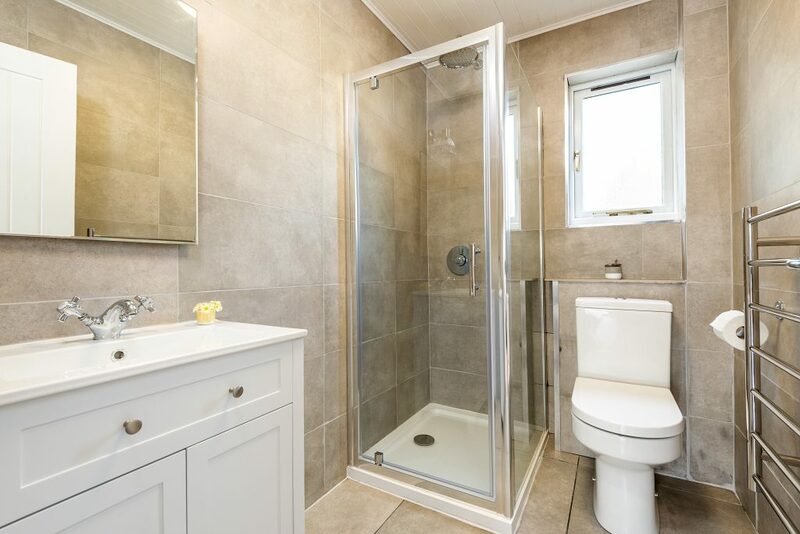 It also has two luxurious and modern bathrooms. 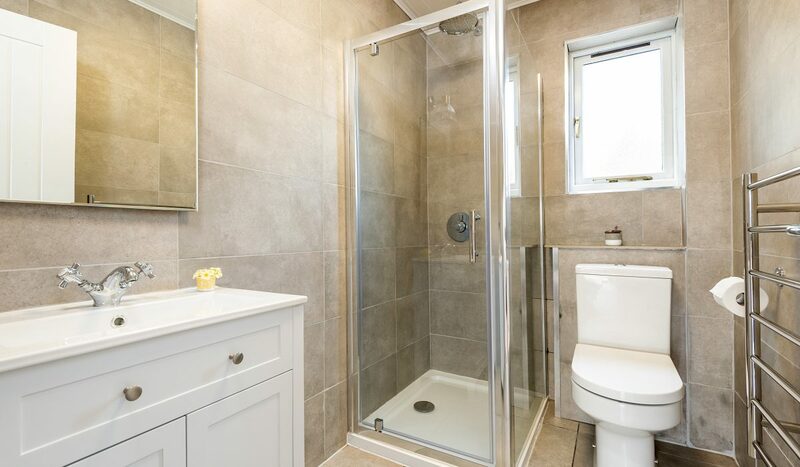 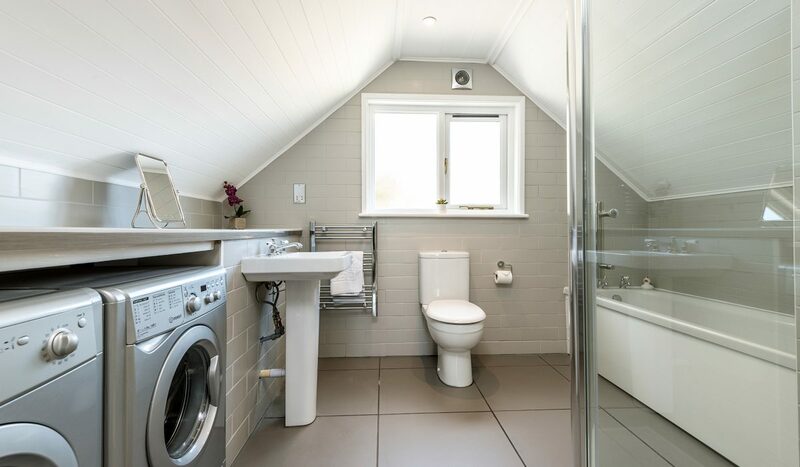 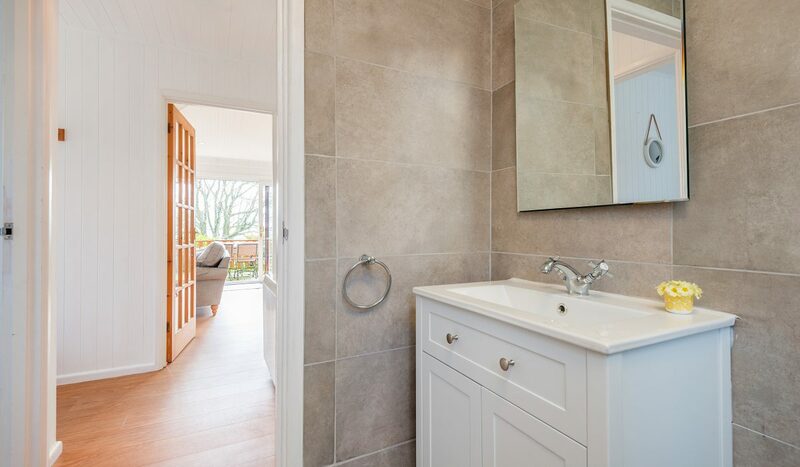 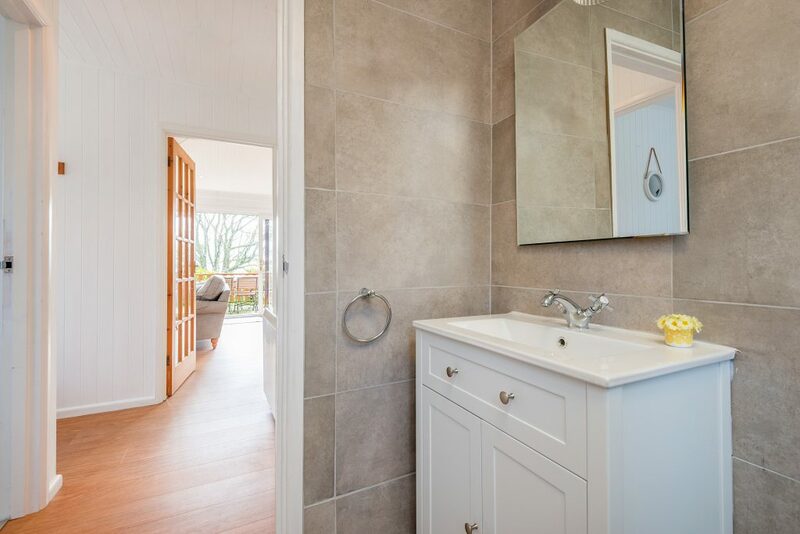 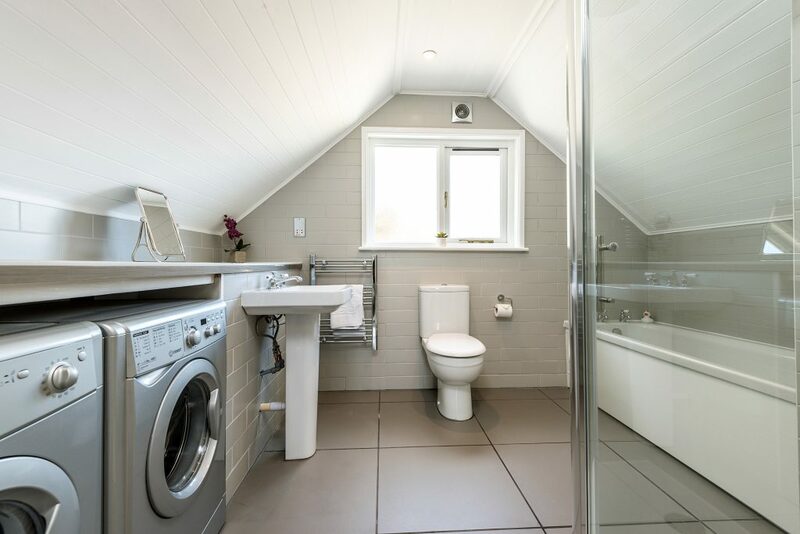 The upstairs bathroom has underfloor heating, a bath and a shower and the downstairs shower features a spacious shower and beautiful mandarin stone tiles. 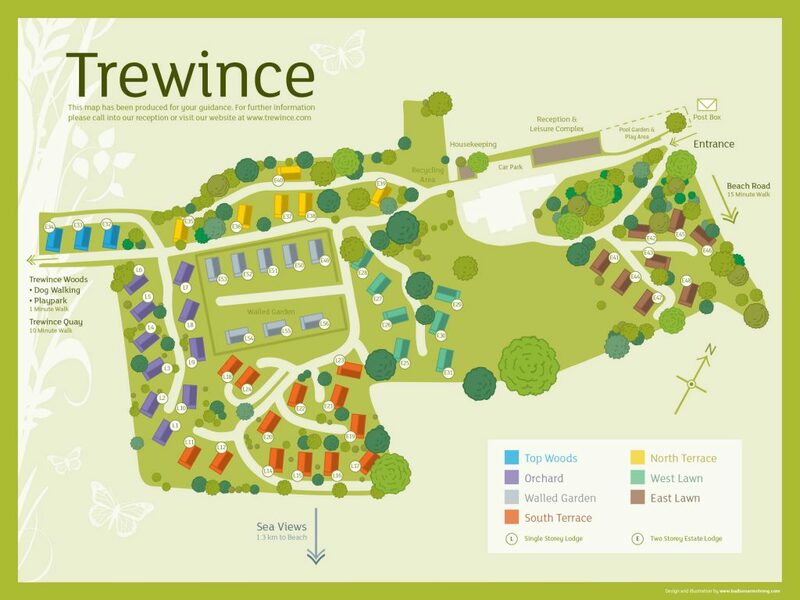 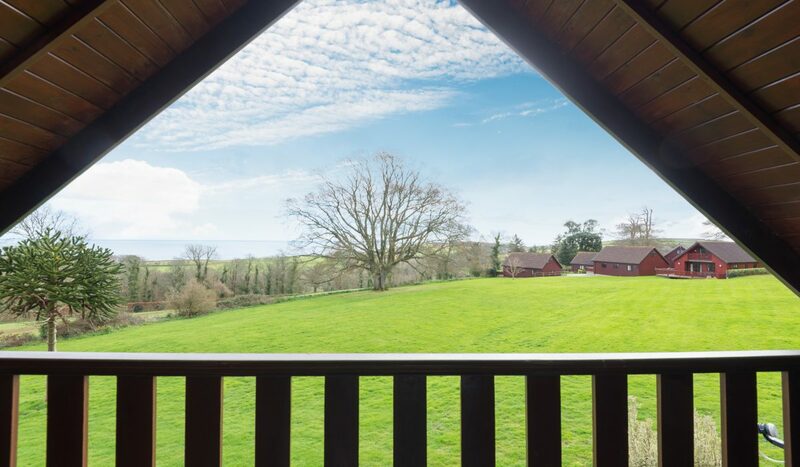 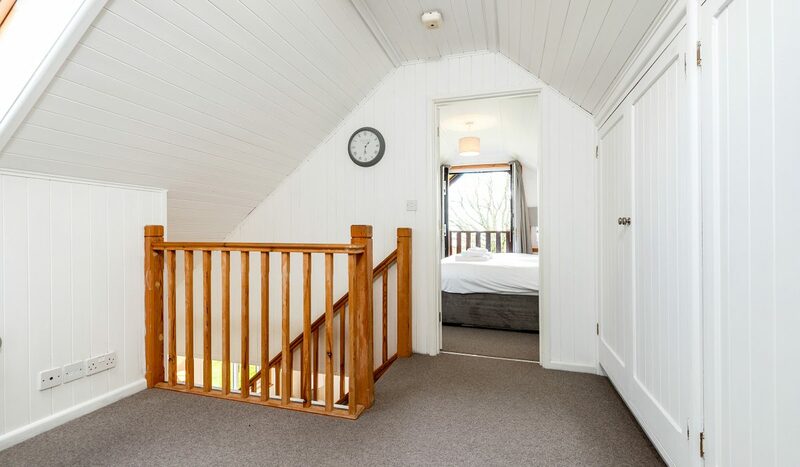 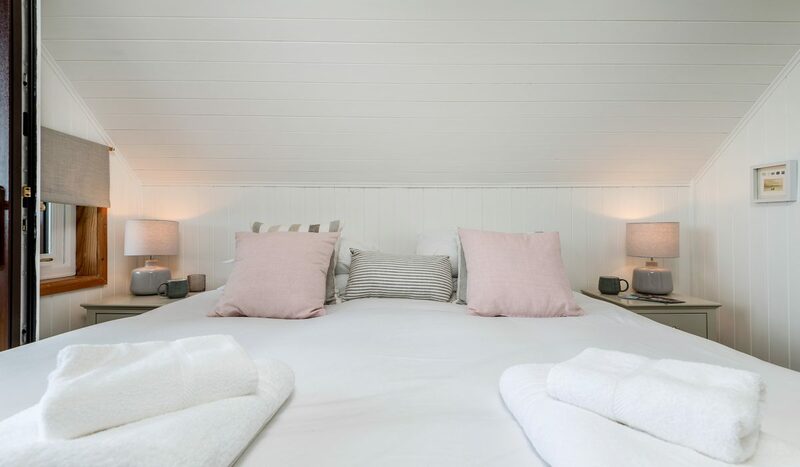 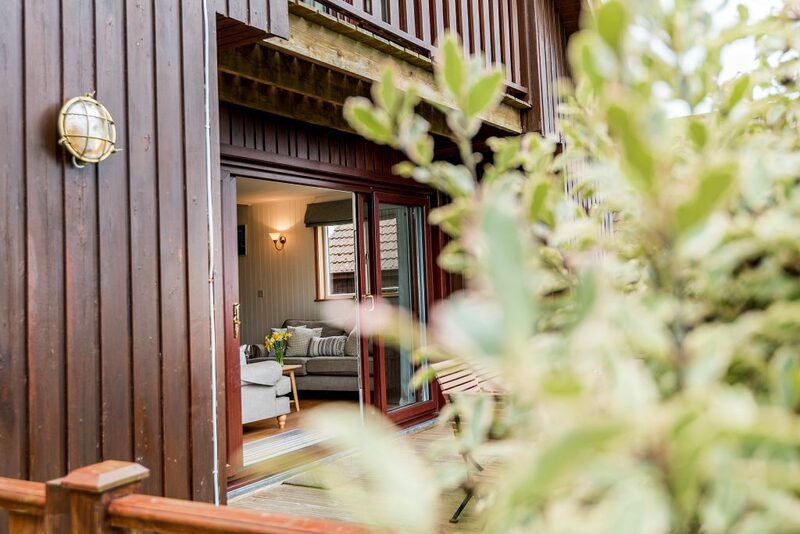 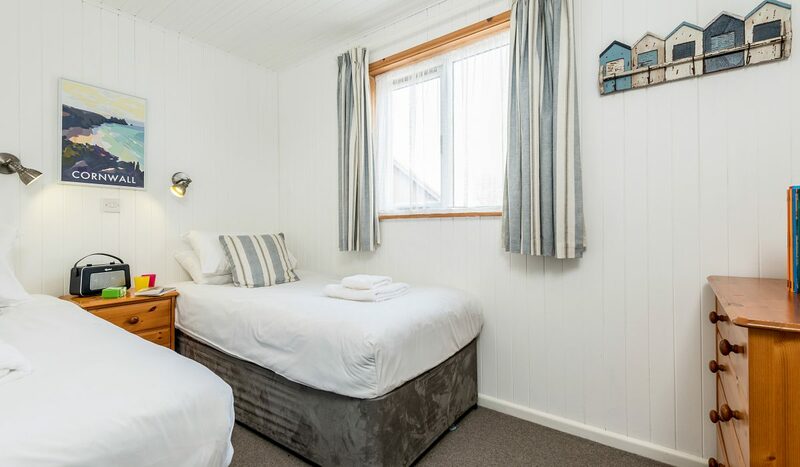 The lodge has a wonderful position nestled amongst trees and situated right on the lawn making it ideal for families and with the additional benefit of a garden to to the side. 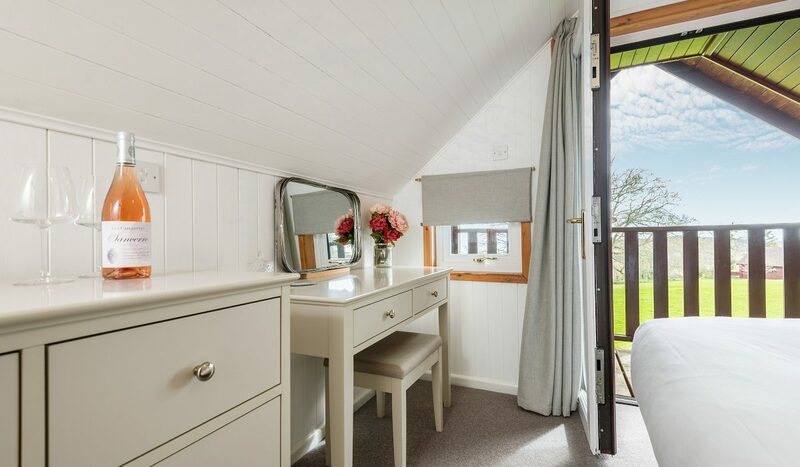 The lodge has three bedrooms and sleeps up to 6 people. 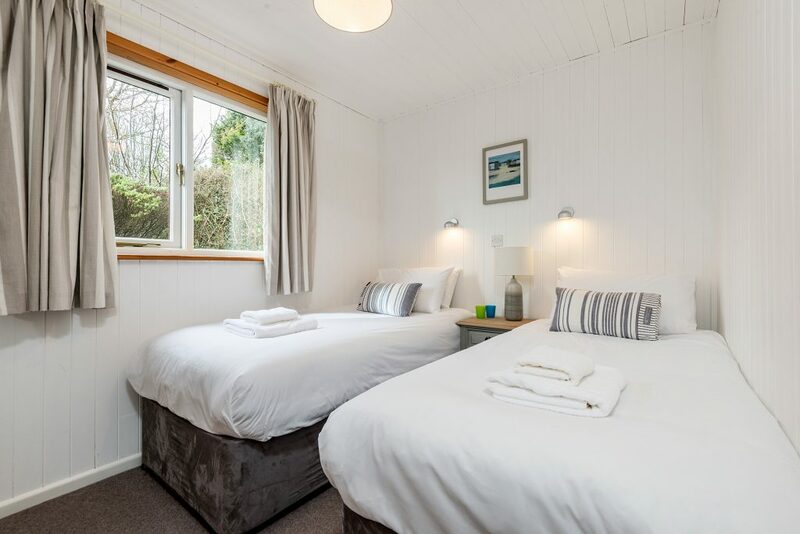 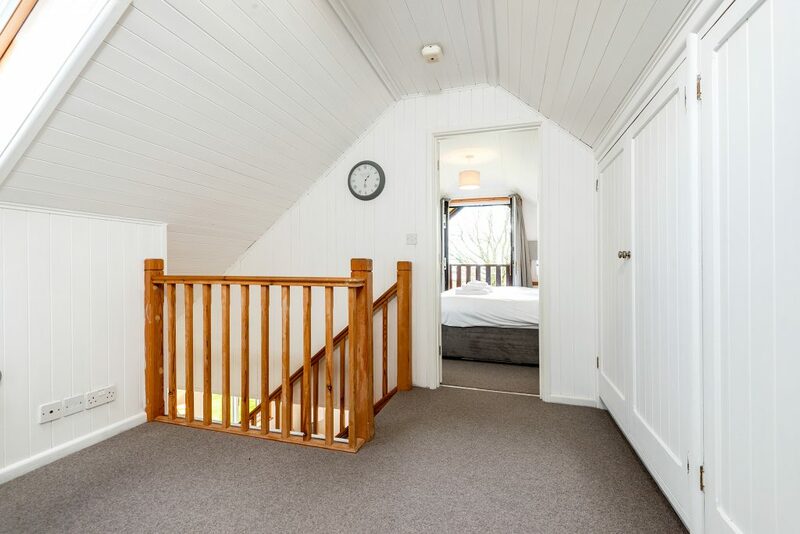 The master bedroom has a super king bed and lovely views out to sea that are best enjoyed with a cup of tea in bed! 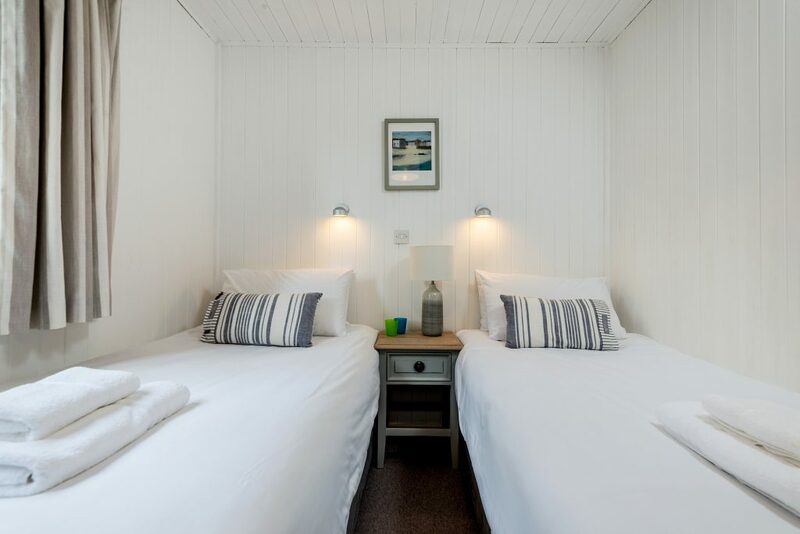 The two other bedrooms have 2 single beds each and views out to sea and the Manor House respectively. 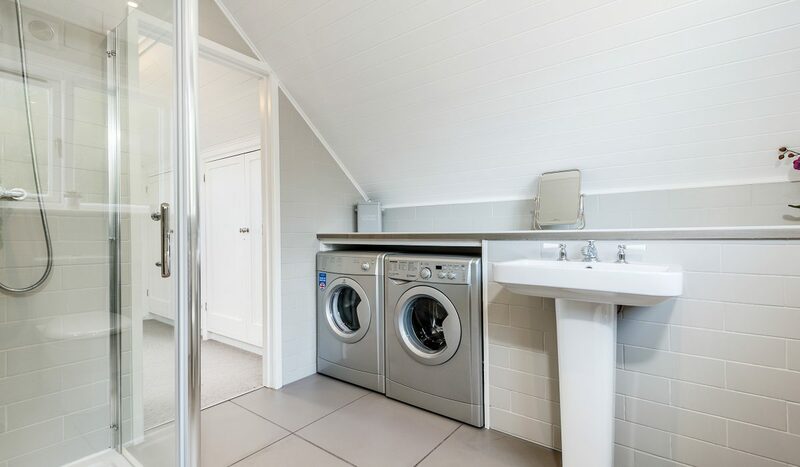 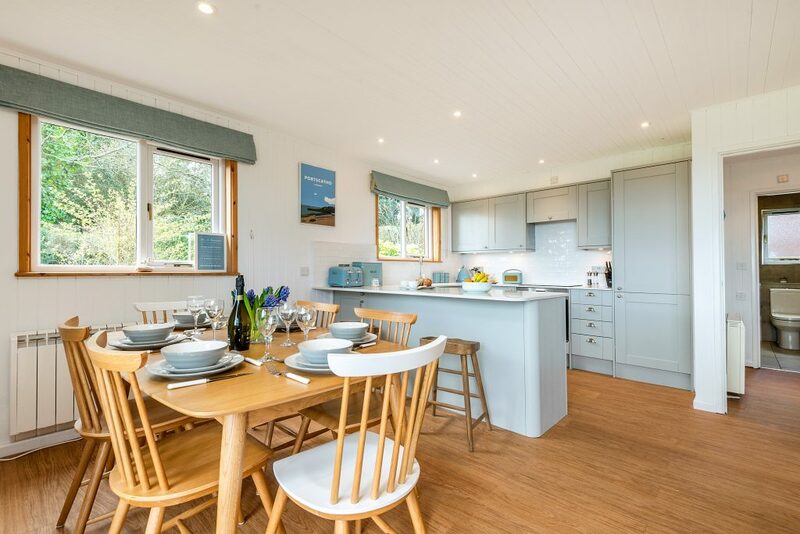 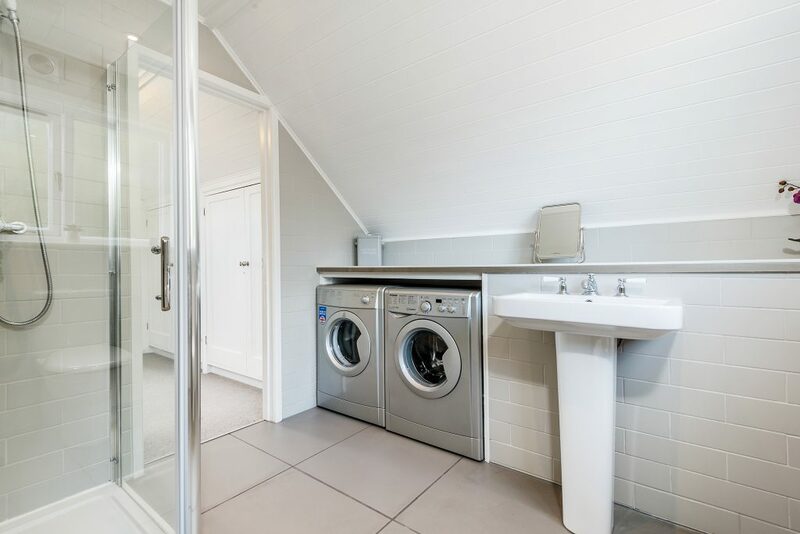 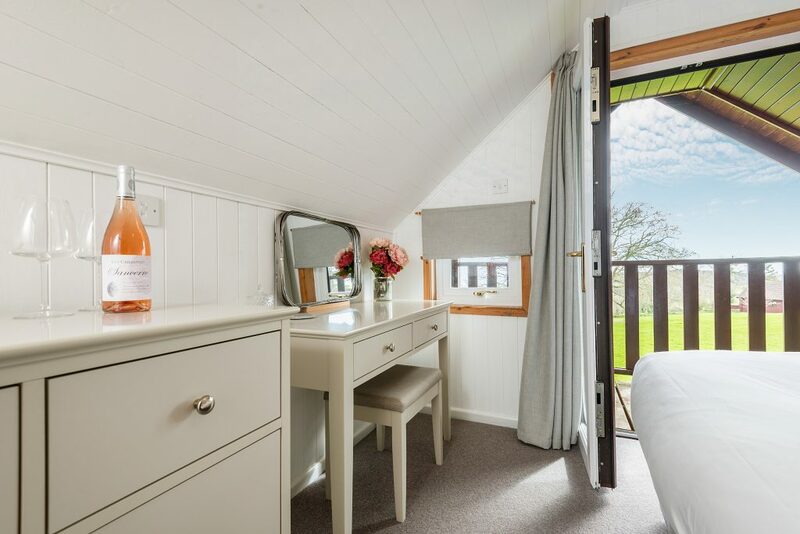 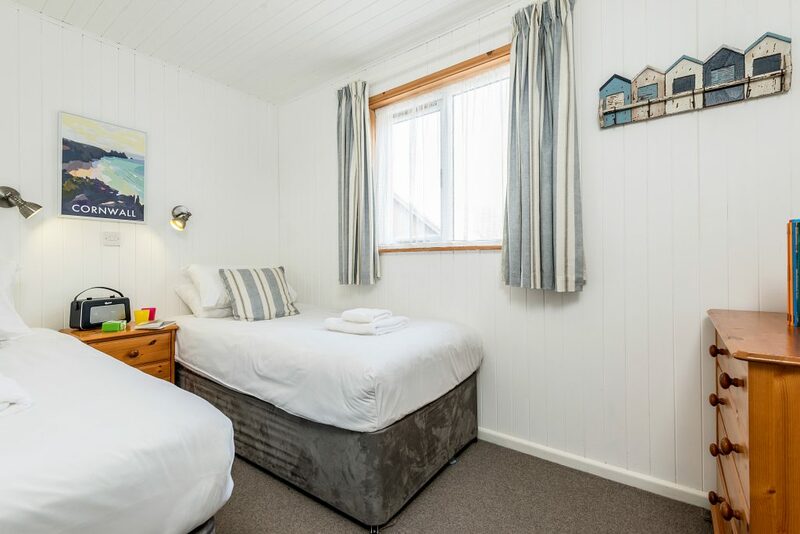 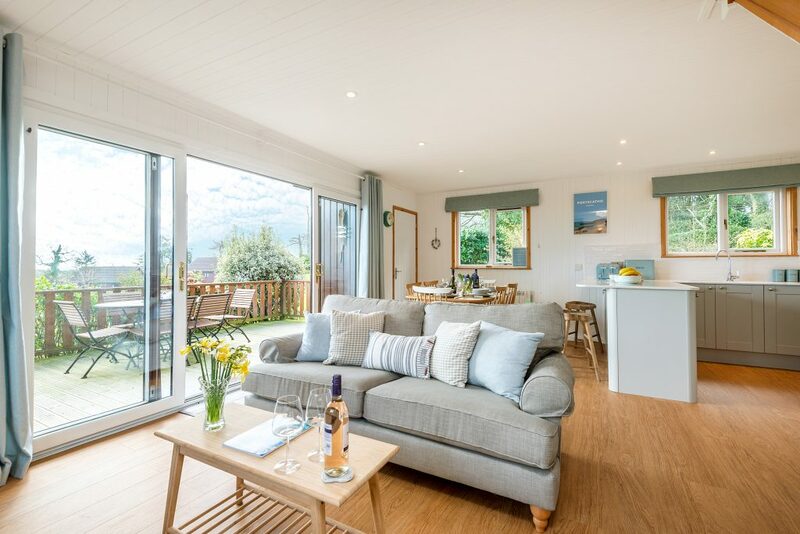 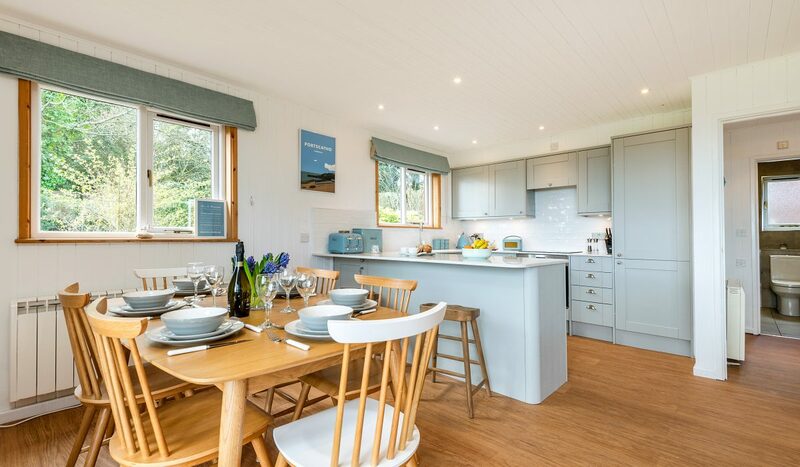 The lodge is also extremely well equipped with a new dishwasher, washing machine, tumble dryer, large fridge freezer, Dyson handheld vacuum, microwave, mobile phone signal booster and wine fridge. 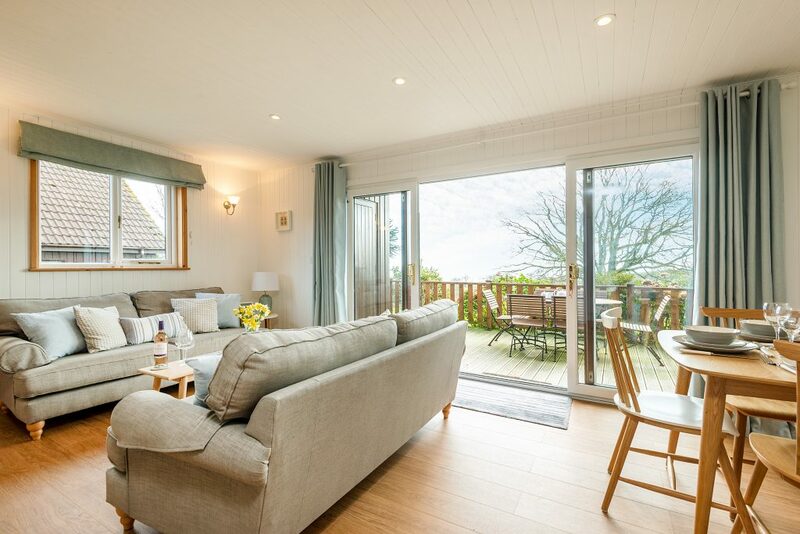 There is also a television with free view, a Bluetooth soundbar for playing music and an Xbox/DVD player with a selection of games. 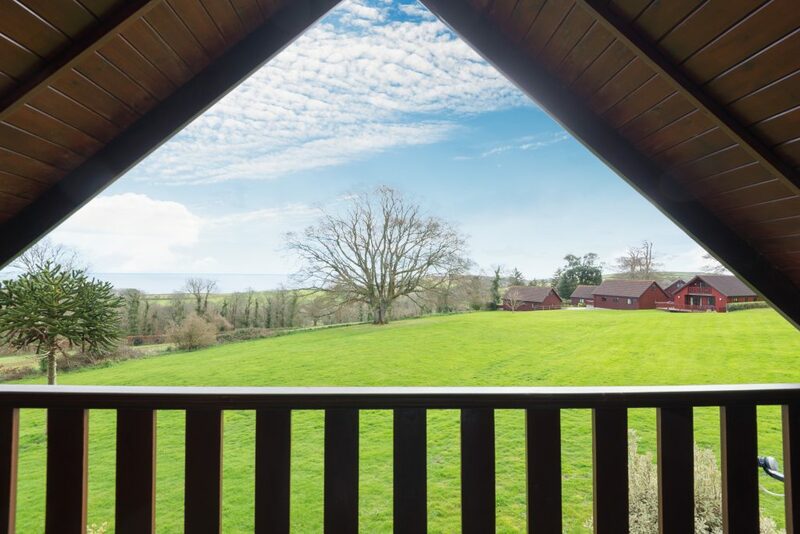 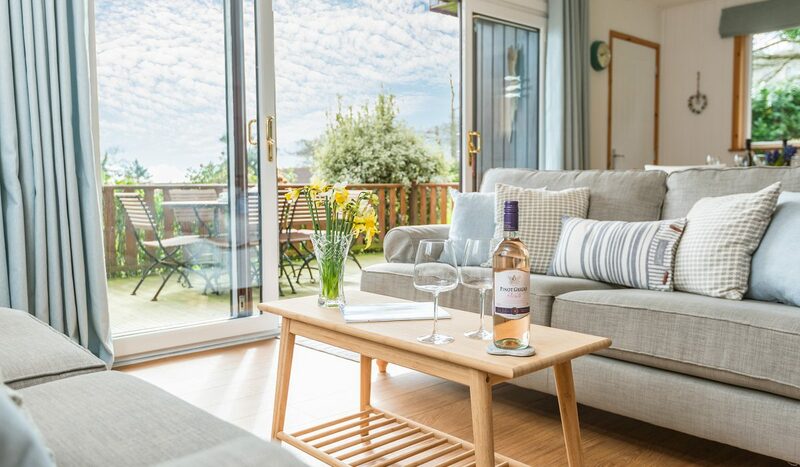 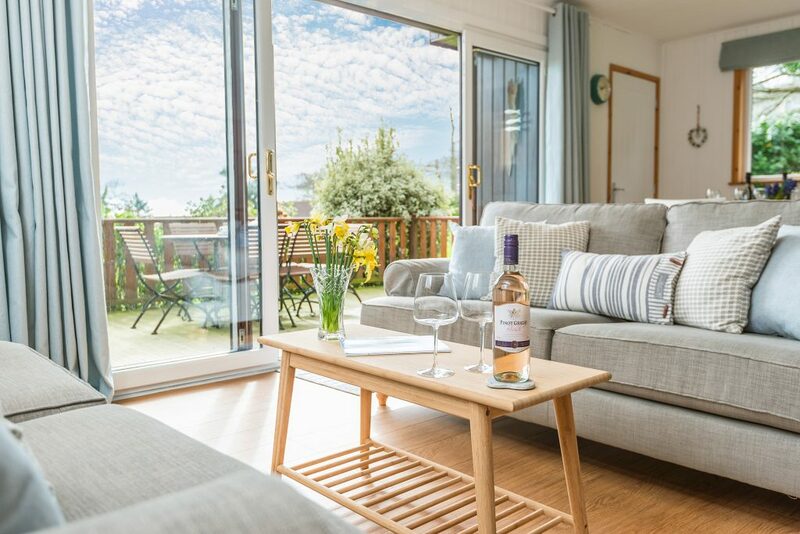 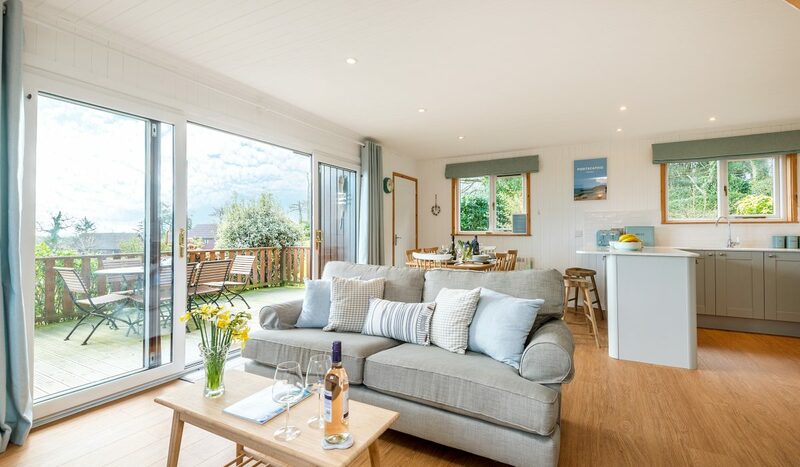 The sliding doors lead out to the terrace which boasts gorgeous views of the beautiful green rolling hills down to the sea and which is the perfect spot to eat al fresco or to relax with a glass of wine whilst the children enjoy the large lawn. 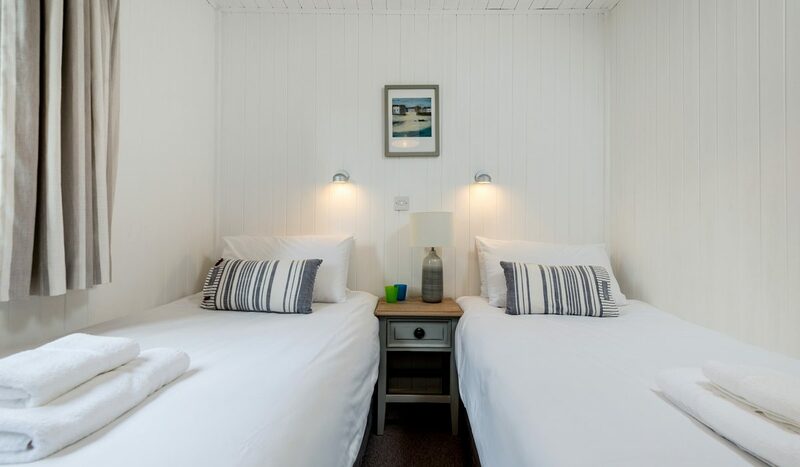 There is also a selection of children’s books and comic books to keep them entertained when they are worn out from a day of enjoying the beach or pool. 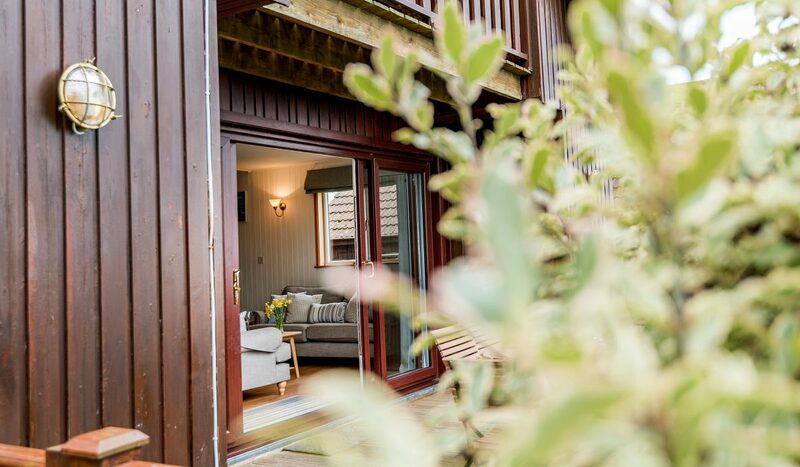 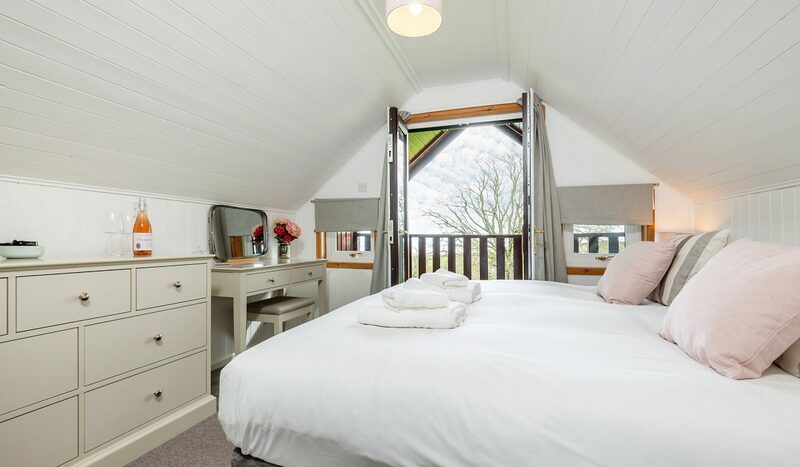 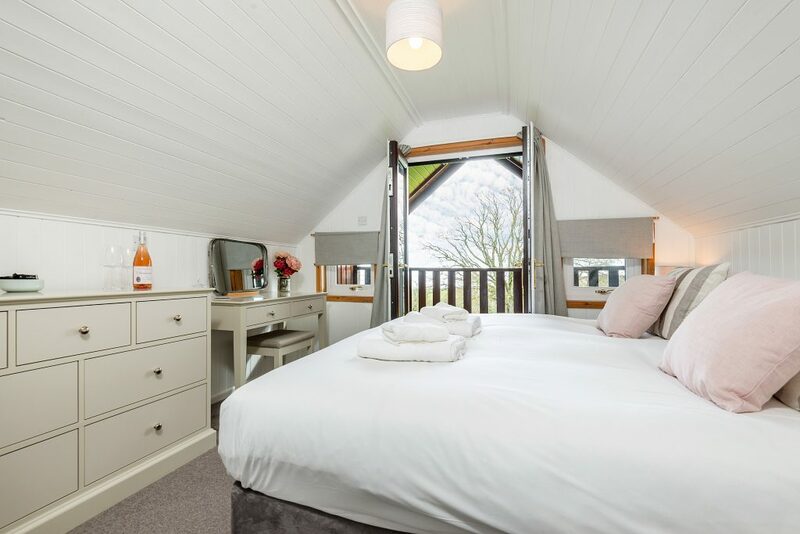 Walnut Tree lodge has been finished with an extremely high standard with huge attention to detail featuring at from local artists and beautiful furnishings to ensure you have a wonderful stay.